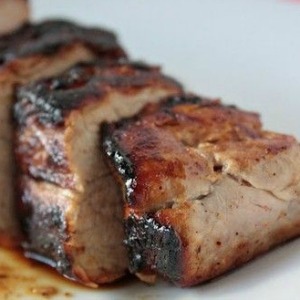 High-quality, professional grade grilling equipment is an art form and ultra competitive industry today. 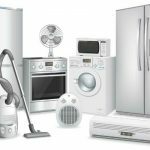 This is why your choice of outdoor kitchen equipment is so vital. Finding a manufacture that builds an amazing product, with all the options, and can last the duration can be a daunting challenge. 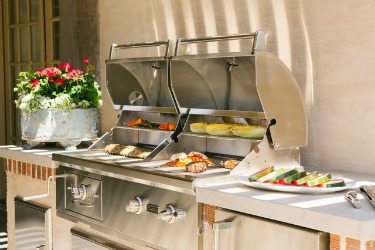 For these important reasons we are proud to carry grills by Coyote Outdoor Living. So many things can go wrong when outdoor equipment is exposed to the elements, this is why Coyote focuses so intensely on even the most minute details. 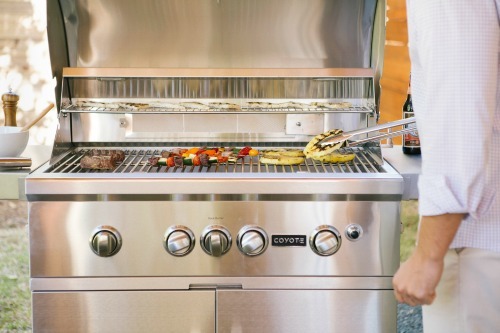 Not only are these grills designed with unique features like interior lighting and sear burners, Coyote also takes great pride in things like construction methods, materials used, and user experience. 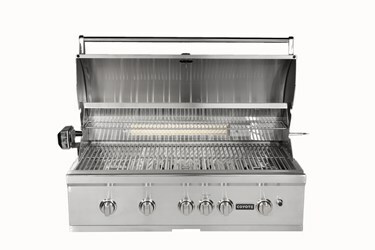 The Coyote C-Series is a beautiful grill built with a satin nickel finish, stainless steel burners, interior lights, and patented Heat Control Grid. The continuous welding on the grill box results in a seamless edge that really sets this unit apart from the competition. 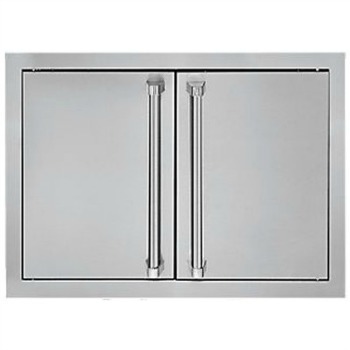 The stainless steel construction is carried through to the grates, warming racks, and a double walled hood. Maximum cooking power is delivered with the renowned Coyote iBurners. The S-Series is the top of the line model from Coyote. Additional features of the S Series include rear infrared burner and Rapid Sear burner to help flavor and lock in juices when coking meat. A nice addition to the line is a built in smoker box and LED illuminated knobs. 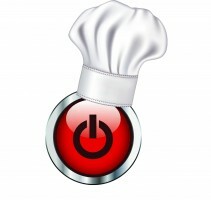 Small things that make a big impact when you are cooking. -Stainless steel burners, grates, and components. 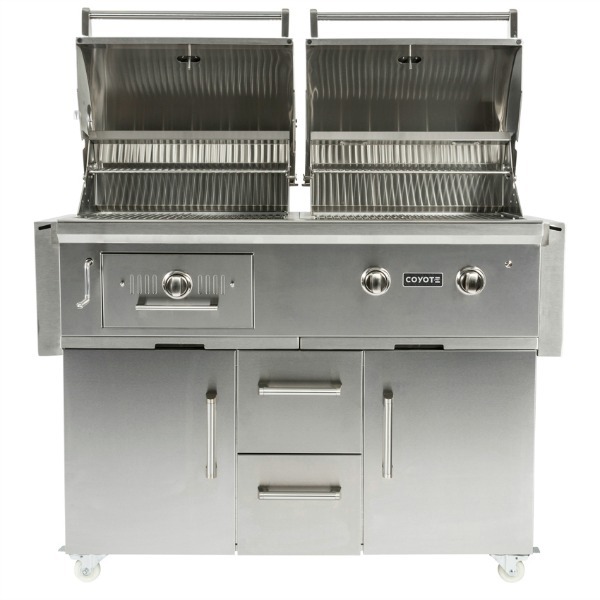 This dual fuel hybrid grill is sure to amaze and has become the defacto outdoor grill for the serious grill chef. 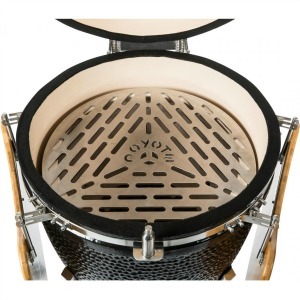 Coyote has combined the best of both worlds by building this piece with their powerful iBurner and a traditional charcoal grill in the same unit. 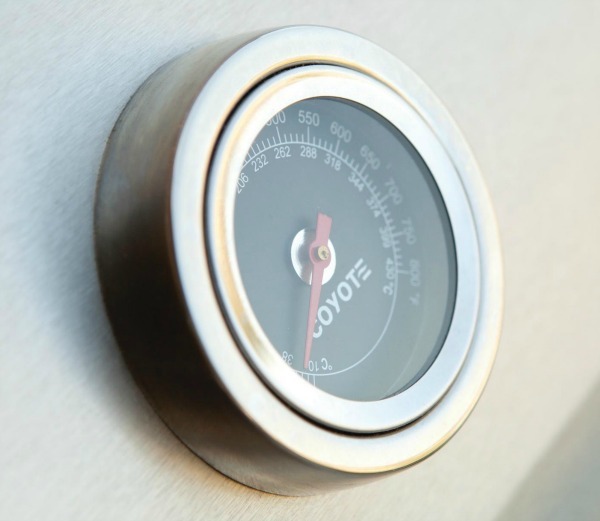 Built with all the features, all of your grilling needs are met with one unit. You can grill over gas, charcoal, smoke, or do it all at the same time. 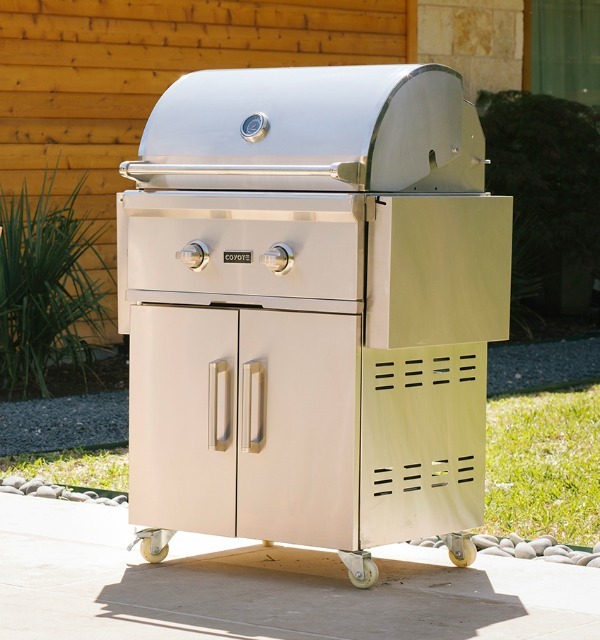 The premium stainless steel is grill is constructed with seamless continuous welds, a double walled top, and performance heat controls. 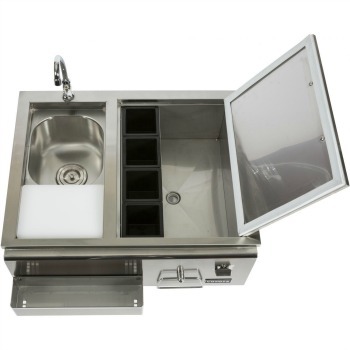 The unit can be ordered in either LP or NG and has a combined cooking area of over 1200 sq. in. With so many well though out features there is little not to like about the Centaur. One thing that we really appreciate after a big party is the easy clean up the commercial tray offers. Another feature not seen on grills of this caliber are the dual dampers for controlling air flow and adjustable fuel trays for cooking flexibility. Take your charcoal grilling experience to the next level. An often overlooked category if you want something more than a tailgate hibachi or ceramic cooker, the traditional charcoal grill has been re-imagined by Coyote Outdoor Living. 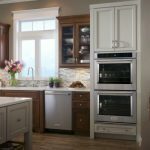 Constructed from the same premium 304 stainless steel as the rest of the line, this grill continues with seamless welds, nickel alloy knobs, interior lighting, and a double walled hood. The Coyote Charcoal Grill will invigorate your outdoor cooking senses, the aroma of real wood chips and the natural smells of food over charcoal will make you see why this style of grilling is a culinary art form. 36″ with over 875 sq. in.of grilling area. 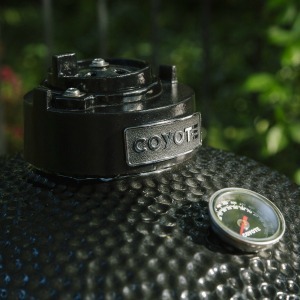 The Coyote Asado Ceramic Grill is designed for those who appreciate the immense flavor of true charcoal grilling offers. 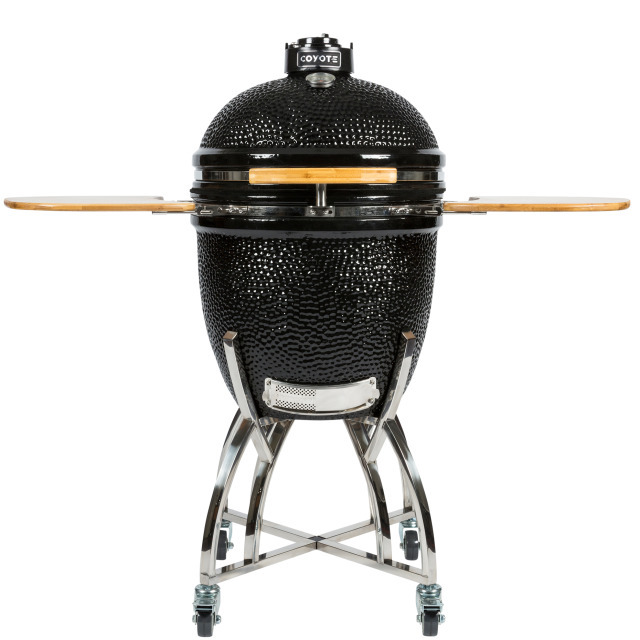 This kamado style grill will let you grill, smoke, sear, and even bake! Crafted from premium ceramics, it will retain heat for hours allowing you to cook consistently for long periods of time. With 254 sq. ins. Of cooking area, you will find the Asado will fit many needs in the outdoor kitchen. A stainless steel grate with a dual-vent airflow system makes sure your cooking is precise and controlled. Because the Asado regulates temperatures so well, you can maintain high heat for long periods, thus requiring less fire tending and fuss than traditional ceramic smokers. The Asado Smoker comes with a stainless steel cart that has heavy duty casters, two folding shelves, an easy to use wood handle, and a accurate integrated thermometer. 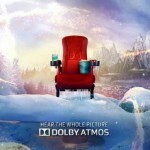 Optional covers and accessories are also available. 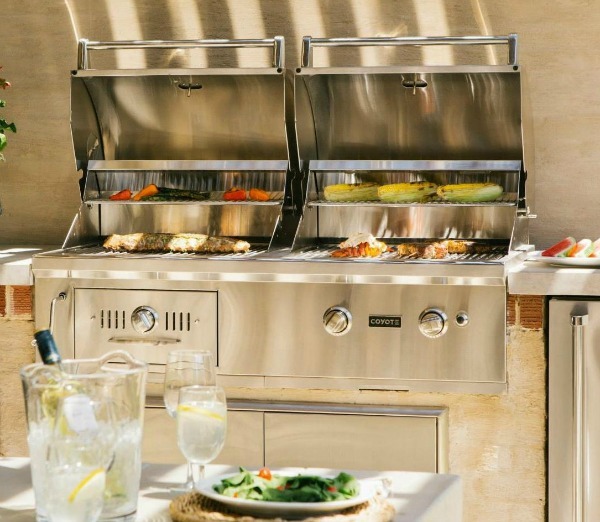 Coyote offers a full line of complimentary outdoor products that will allow you to create an outdoor kitchen even the most discerning buyer will be proud of. Each item is built to the same standards as all Coyote Grills and will last a lifetime. 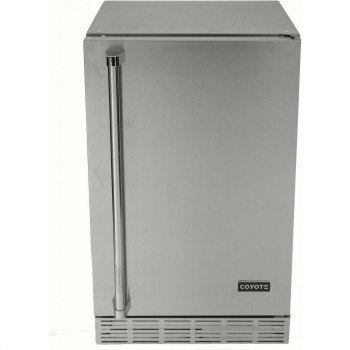 From powerful side burners, stainless steel access doors, and one of the best outdoor refrigerators in the industry, you will not be disappointed with Coyote’s timeless style or performance. Coyote continues the look and feel of their grills into their accessories using the same premium stainless steel and other materials. This guarantees that everything will match and look amazing as a single unit or a complete outdoor kitchen. The cornerstone of the lineup is the Coyote grill. In all of the available barbecue models, the Coyote grill marries solid construction with strong aesthetics and remarkable performance. 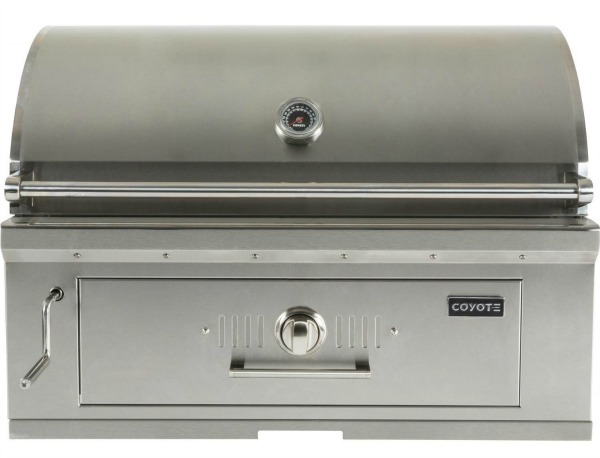 Designed to endure, the Coyote grill will be the heart of the outdoor living space. 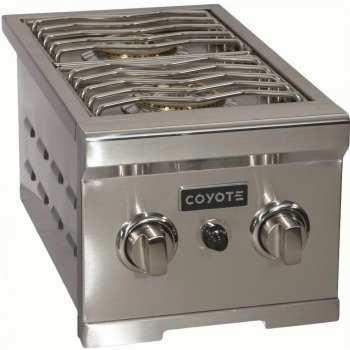 The ease of use coupled with a great cooking performance makes the Coyote grill a must have for your outdoor kitchen. 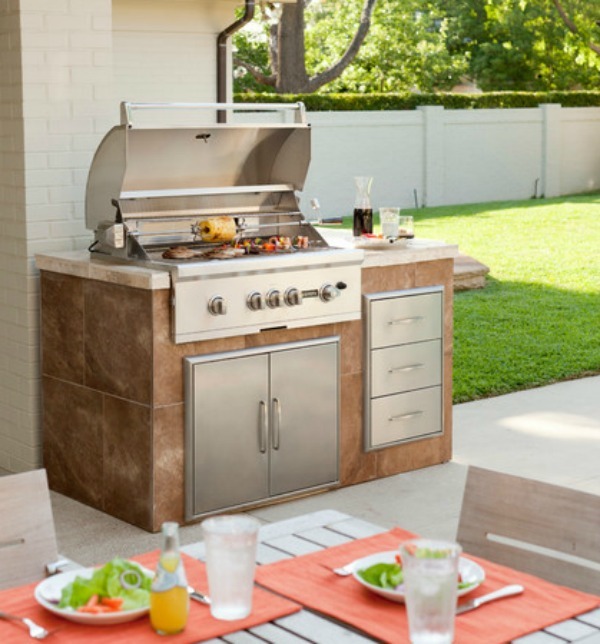 To complement the grill, Coyote Outdoor Living offers a branded living space that will aesthetically and functionally enhance all outdoor cooking areas. The current Coyote outdoor offering includes a broad range of storage solutions, secondary cooking options, refrigeration, and more. You can now get Coyote’s complete line up and all in matching finishes.